The apps are free, however to create new files and edit existing documents, an Office 365 Home subscription is required. This can be purchased for $99 per year. Without the subscription, users can only review documents and view presentations. Chief Correspondent for Mashable Lance Ulanoff argues that Microsoft’s set of companion products, which include Word, Excel and PowerPoint for the iPad are nearly everything he would expect in terms of ease of use and productivity. Although Ulanoff does point out several keep features that are lacking in the apps, like an option to print and a missing scroll bar in Excel, he hopes that Microsoft will remedy these issues with the next version. “They’re not perfect — there are some shocking feature gaps — but Microsoft has done a more than admirable job of finding the middle ground between Office Suite familiarity and the iPad’s native, touch-and-gesture responsiveness,” wrote Ulanoff. Both apps are more than capable of basic document creation and editing. Microsoft wins overall, because many of the formatting options are easier to access, and Word for iPad has a number of features that make it easier to select text and work with images on a touchscreen display. Pages offers more diverse template options, but there are a variety of fidelity issues when working with Microsoft Word files. If you need to create, edit, or even just view an Excel spreadsheet on an iPad, Excel for iPad is the easy winner. There are simply too many issues with formatting and file fidelity with Numbers, and Microsoft has done a superb job at creating a touch-friendly Excel experience. Keynote is a wonderful app for creating presentations. 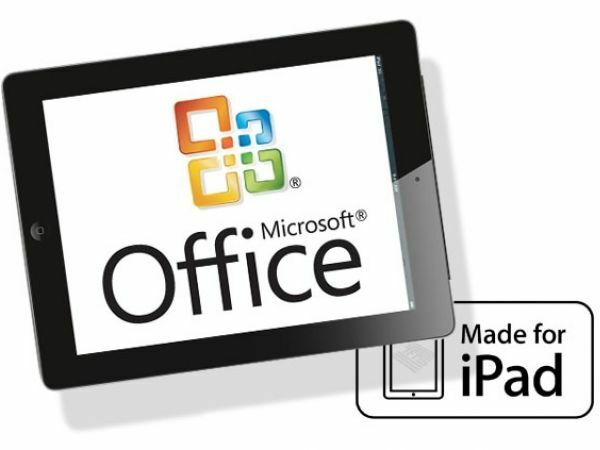 However, PowerPoint is the gold standard, and Microsoft has developed a superior app that brings all of the power of the desktop program to the iPad. If you want to create, edit, or present an actual PowerPoint file, accept no substitute. Although it took several years to come to fruition, it looks like Microsoft has finally created a streamlined version of its immensely popular productivity suite to work smoothly with the iPad.